Miss Alice was planted three years ago and has never borne so many roses as this spring. Since the deck is semi-shaded almost all day, it always surprises me that there are blooms at all. The roses stretch so very high to get enough sun. 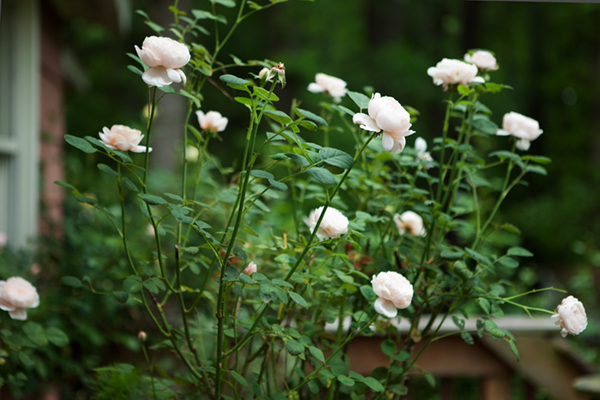 Miss Alice, a lovely pale pink English rose from David Austin Roses, grows in a barrel on the deck. I cut half the Miss Alice roses and a couple white Fair Bianca roses from the other planter to make the first bouquet of the season. This is the one time of the year that I move all clutter aside to make a place of honor for THE Bouquet. No craft, no painting, no created thing from my hand could ever match this scented masterpiece from the Creator of the Universe. 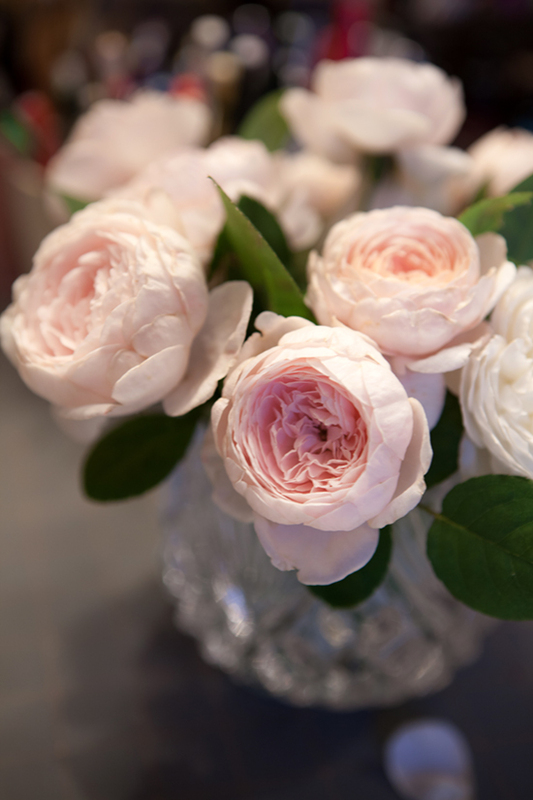 The first English rose bouquet of the season - Miss Alice and Fair Bianca.